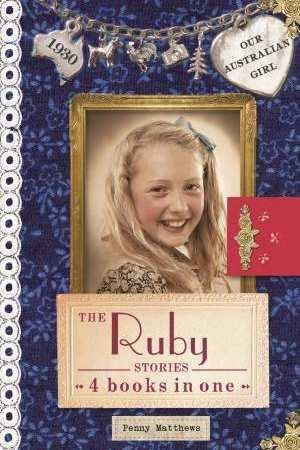 It’s 1930 … and Ruby Quinlan lives in a big house in Adelaide with her parents and her fox terrier, Baxter. As she prepares for her twelfth birthday party, Ruby has never been happier, but the world outside is experiencing harder times. Ruby knows that lots of people are losing their jobs, but her own family life seems comfortable and secure … until things start falling apart. Happy-go-lucky, compassionate and loving, Ruby is an unforgettable Australian Girl.